If a picture can tell a thousand words, a face tells the whole story–one that anyone can read at a glance. As we age, our faces suffer from sun and environmental exposures, as well as the natural process of maturing skin: developing lines, wrinkles, and “age spots,” or hyperpigmentation. Many of these changes can be reversed with short office procedures conducted by our clinical skin care staff, who deploy the newest generation of fractionated laser therapy, as well as IPL (intense pulsed light). At deme, we use the Pixel Perfect system, an innovative esthetic laser treatment that can aid in counteracting years of sun damage or acne scarring. 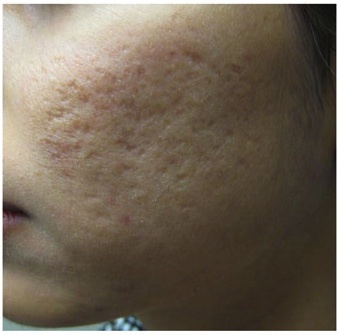 Laser light passes through patented optics perforating the skin microscopically thousands of times, while leaving skin around each of these perforations intact. These micro-injury sites (about 15-20 percent of the treatment area) start the process of triggering your body to create more collagen, the natural substance our skin deploys to keep it tight and smooth. This allows your skin’s top layer to heal from the edge of these tiny holes very rapidly, which significantly improves your complexion, often visible right away. Pixel Perfect treatments are safe and effective and do not involve injections or surgery. Directly after your treatment, you can expect your skin to be flushed and red, similar to a sunburn. Over-the-counter pain medicine may make you more comfortable. These symptoms are a normal part of the healing process and almost invariably improve quickly, revealing the youthful layer of skin lying below the surface. IPL (intense pulsed light) has become the single most popular light devices in use today, and it is very effective on most areas of the face and body and helps to reduce profuse redness from Rosacea and broken capillaries as well as pigment irregularities from old sun damage. 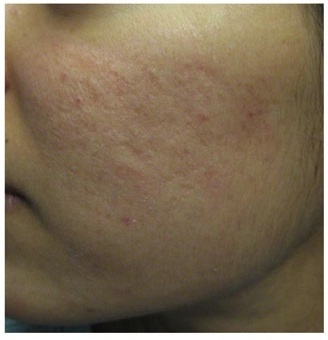 Results can easily parallel those of “true lasers” for many indications. Most IPL systems emit light with a range of wavelengths, anywhere from 500 nm to 1,200 nm. With this range of wavelengths, water, melanin and hemoglobin all act as possible chromophores in the skin, which means we can address skin conditions such as: solar lentigo; telangiectasia; Rosacea; fine lines; dyschromia; and discoloration left from acne scarring. The treatment takes about 15 – 35 minutes. It feels similar to a rubber band snapping on the skin; most people need between two to four treatments to get the best result. Contact demė - cosmetic and dental care in Philadelphia, PA to schedule your laser and light resurfacing appointment today. We are happy to help our patients who come to us from Philadelphia and the suburbs, Delaware, South Jersey, Wilmington, King of Prussia, Doylestown, Cherry Hill, Bucks County, Lehigh Valley, Allentown, Bethlehem, West Chester, Main Line, Montgomery County.